July desktop calendars are hot off the press. 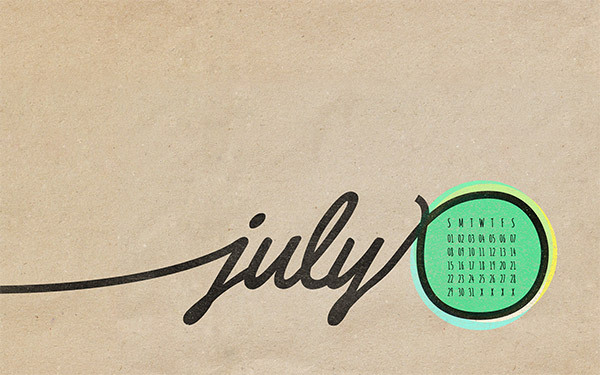 2012 is halfway gone but these fun and inspiring calendar wallpapers will surely help you get through the dog-days of summer. These fine wallpapers have been hand-picked from talented artists and designers from around the web. Feel free to share your favorites and check back next month for some great new desktop calendars. As always, if you’d like to include your own design in future roundups, let me know. Sandy backgrounds and a retro color scheme comprise this beautiful wallpaper. The script font matches nicely with this “made for the beach” design. 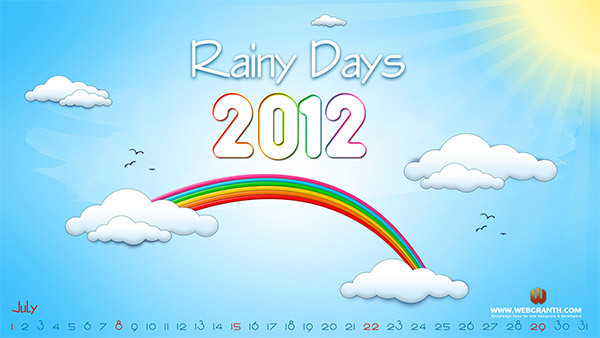 Rainy days may be a title better served for the spring (depending on your location) but regardless, this illustrated desktop calendar provides some optimism for what is typically a scorchingly hot time of year. 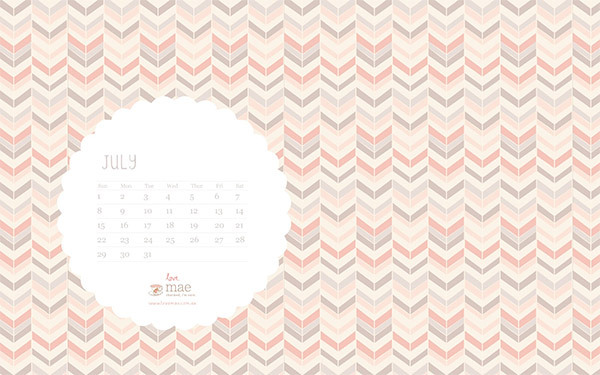 Studio of Mae has another nice patterned wallpaper ready for July. As always the fonts and minimal calendar go nicely with the lovely background. Enjoy! 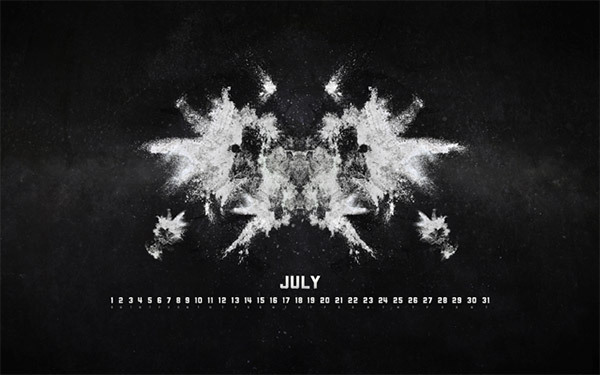 This darker, grunge based design has some nice inkblot/rorschach digital art working for it. Do you see anything in the ink blots? Abstract shapes bursting from an evening view of the shade tree on a farm. I absolutely love the color scheme. There’s also iPad and iPhone versions available. That’s the roundup. Please let us know which calendar is your favorite by leaving a comment below. 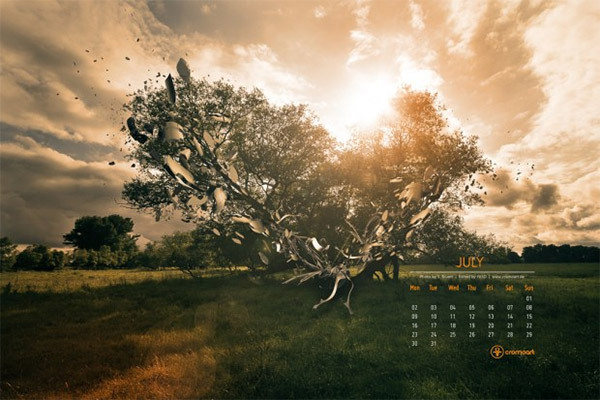 The post Desktop Wallpaper Calendars for July 2012 appeared first on Visual Swirl Design Resources.